Controversial: Christmas trifles are an abomination and you're all monsters. "I can't pretend anymore. Christmas trifles are an abomination and you're all monsters." For as long as I can remember my grandma has been making a Christmas trifle. And for as long as I can remember, I have been smooshing it around on my plate before sneakily emptying it into the bin. Now, the rest of my family are convinced she makes a “great” trifle, “delicious” even. But no, I will not have it. I have had enough of the lies. Christmas trifle is trash and we all know it. The ingredients of trifle – stale sponge, sub-par fruit, packet custard, jelly and cream – range from ‘this should 100 per cent not be a thing’ to ‘meh’ on the scale of delicious food, and putting them all into a weirdly decorative bowl does nothing to increase their appeal. These ingredients just don’t go together. It’s… wrong. You would never eat sponge cake with jelly at any other time – so why is this suddenly okay at Christmas? Actually while we&apos;re here, I propose we put a blanket ban on anything with jelly. Name one redeeming feature of jelly. You can&apos;t, can you? It&apos;s unnatural, mostly flavourless and wobbly. Food should not be wobbly. Jelly, I reckon, is one of mankind&apos;s worst inventions. Therefore, by extension... so is trifle. Trifle is trying to be too many different desserts at once and failing at all of them. Did it want to be a sponge cake? A fruit salad? Whatever else you have jelly with? MAKE UP YOUR MIND, TRIFLE. There are so many better Christmas desserts that make sense, including our true Christmas hero: Pavlova. Pavlova has already saved us from the horror of fruit cake and Christmas mince pies, and it&apos;s here to do it again. Pavlova is secure in itself and its few ingredients. Pavlova knows what it is. And Pavlova is delicious. This Christmas, let us stand up for all that is good and not-jelly. 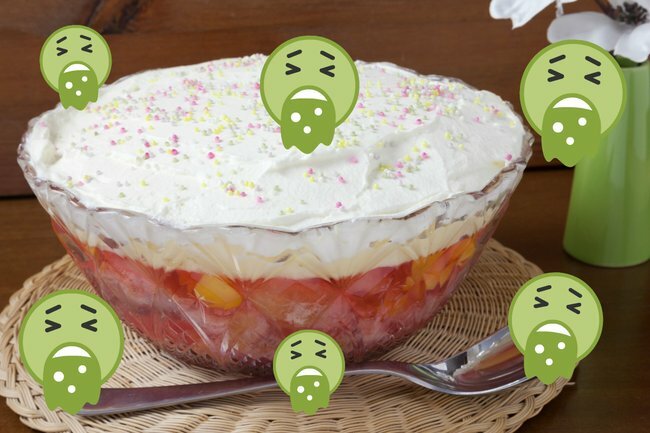 This Christmas, say no to trifle. Let&apos;s not pretend anymore, let&apos;s just straight up throw that mushy mess in the bin. Do you like Christmas trifles? Tell us in the comments section below.